Quest of Dungeons by Upfall Studios is a simple, humorous rouge-like. 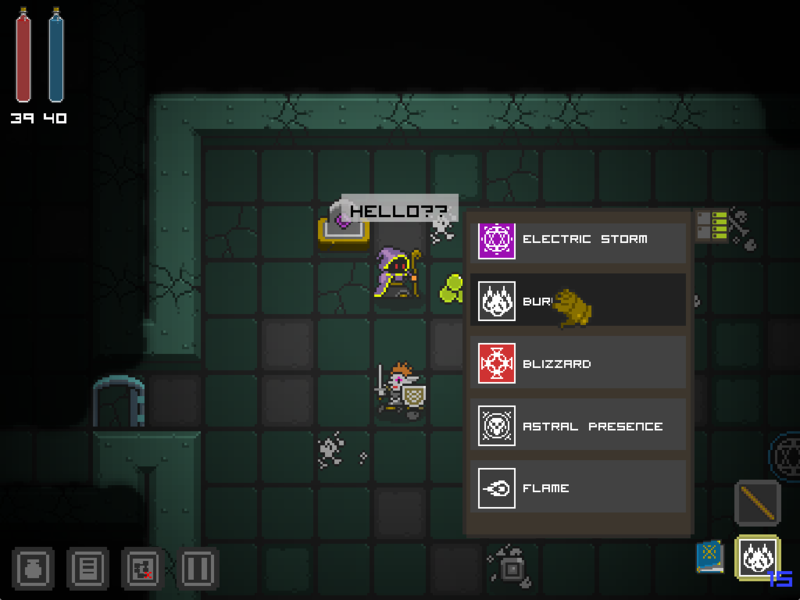 You choose one of four pre-built characters and then go on a turn-based dungeon crawl. 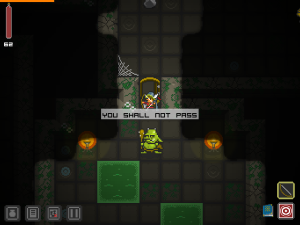 The goal is to pass through a set of randomly generated levels to reach the final boss of the dungeon. As is common for the genre, you can only save the game when quitting, so character deaths are permanent and you will need to replay the game many times in order to ‘beat’ it. Because of this, the focus of these sort of games are less on the completion of the story, and more focused on the enjoyment of the game mechanics creating a sort of arcade experience. Quest of Dungeons opts to provide a textbook, but well made example of the genre, never really straying away from the core concept of a rouge-like. 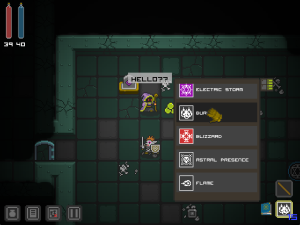 Find monsters, kill monsters, pick up loot, sell loot in randomly appearing stores, buy better equipment, find stronger monsters. The core feedback loop is well implemented and enhanced by a nice, lighthearted feel. The levels are bright, fun to travel through. The difficulty scales well, with enough variation to maintain that rouge-like edge from knowing that any fight could be your character’s last. However, my most interesting experience with Quest of Dungeons was an out of game experience. I first installed it on my Android and played it like I do most mobile games: in those odd bits of time that you find during the day. A little bit while waiting at a laundromat, a little bit on a lunch break, and a more sizable session while laying down before sleeping. Throughout this time I enjoyed the game and started playing for longer sessions, often specifically making a point to play the game. I noticed that I also had the game on Steam, so I downloaded it and began to play on my desktop. The only real difference in the game is a persistent map (which I found very welcome) and the ability to use my keyboard to remove some of the inexactness of the touch screen controls. However, despite the desktop version being clearly superior in my mind, I found that I no longer enjoyed playing the game as much. This, in of itself, wasn’t surprising. The game, while fun, isn’t a incredibly deep experience so I assumed that my interest had run it’s course. When I went back and tried the mobile version a day or so later, I found that I still quite enjoyed playing the game. Switching back and forth between the two confirmed that while I both enjoyed the game on mobile, and felt the desktop version to be slightly better in features and controls, I did not enjoy playing the desktop version. I believe that the reason for this is one of the concepts at the heart of the game backlog problem itself: Opportunity Cost. For those who may have napped during Economics 101, an opportunity cost is a cost you pay by taking an opportunity. In this case, the cost of playing Quest of Dungeons, is that I am not playing a different game instead. On mobile, this is a cost I’m willing to pay. 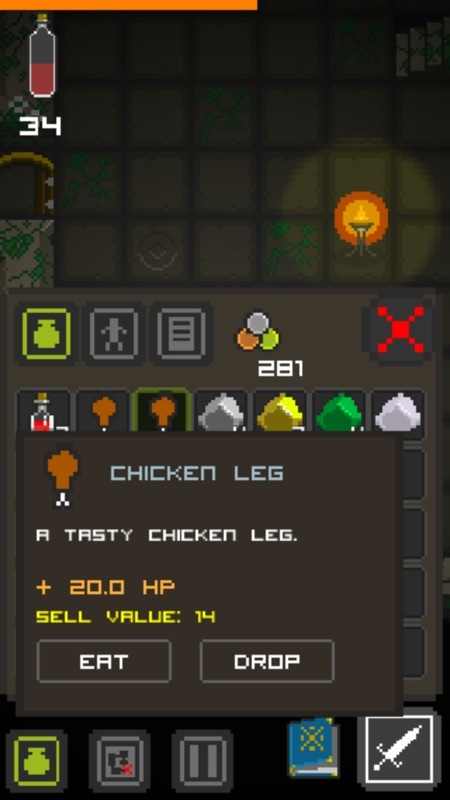 Even though there are other mobile games I’m currently playing, none of them provide a similar enough experience to pull my attention away from Quest of Dungeons. However, on the desktop this isn’t the case, as my options for comparable games increase and Quest of Dungeons simplicity become more of a deterrent. 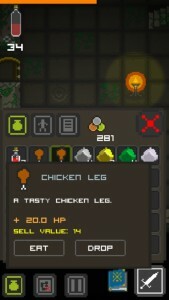 This isn’t too big of a loss, as Quest of Dungeons seems perfectly at home on mobile, and I would encourage you to try it. Alright! My first randomly chosen game. 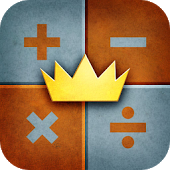 King of Math by Oddrobo Software AB for Android. This is a neat little game. Basically it’s just a speed math test. You can choose a subject area (addition, subtraction, multiplication, powers, etc.) and then you have a series of multiple choice questions in sets of increasing difficulty (ie: set one might be in the style of 2 + 1 = ? while set two might be 3 + ? = 15 and a later set might have you match an equation to another equation with the same answer). Sets are scored based on the time taken to complete them, with three incorrect answers failing the set. Subject areas are also scored based on the number of stars you receive for each complete set (three stars per set -1 for each wrong answer). Additionally, your overall cumulative score levels you through a medieval social hierarchy. You begin as a farmer (the farmer of math?) and move up to presumably the eponymous king. I enjoyed this game very much. It’s not very in depth, but what it does, it does well. It reminds me a lot of the math minigames from Brain Age and I think that this game will be best played in short bursts. The presentation is a bit basic, but nice. The navigation is clear; the art is inviting. The music is good for a speed game: it evokes a sense of urgency without becoming annoying. If you think the concept sounds appealing, I recommend trying this out, but if the idea of unlimited math quizzes doesn’t excite you then there’s really nothing here for you. As the first game I’ve played since attempting to finish my backlog this may be against the spirit of the project as I purchased this game two days ago during the Steam Exploration Sale: but still, it’s now a game I own, so I must play it! 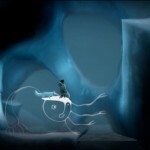 Never Alone has been on my radar for awhile due to it’s interesting production history. The developer, Upper One Games, was formed by the Cook Inlet Tribal Council to create videogames that showcase the history and culture of the indigenous peoples of Alaska. I am personally wholly of the opinion that games are an artistic medium. Further, I think one of the strongest qualities of games as an artistic medium is the ability to provide an immersive experience of a wholly different environment or person. While I admit I enjoy the abundance of effort that has allowed me to experience the perspective of Space Marines fighting against hordes of monsters, I am hopeful that the success of games like Never Alone inspires other groups to consider using games as an outreach medium. 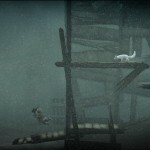 Never Alone is the story of a young Iñupiaq girl and a fox that she meets along her journey. Mechanically, it’s a puzzle platformer in the Lost Vikings vein: both characters have unique platforming skills which they must use in combination to move through the environment. A single player can switch between the two characters (with the non-active character following along) or a second player can play along. I was only able to try the single player mode, which was fine but there were a few points where I believe a second player would have greatly reduced the frustration of passing certain areas. The presentation is very nice. The animations are smooth, the characters and environments look beautiful with a nice stylized presentation that helps enhance the theme. Cutscenes in between levels are drawn in a historical line drawing style as are the spirits which assist you throughout the game. Visually, the game is executed wonderfully. The game falters a bit mechanically. The girl (apparently her name is Nuna, but I don’t remember her being named in the game) gains a bola in the course of the game, but targeting is clumsy. The bola is the only part of the game that uses the mouse: you hold the left mouse button to spin up the bola and then aim by moving the mouse on the vertical axis to control the angle the girl throws with no indicator on screen. This may have been a deliberate choice, but it’s largely frustrating in practice. There are a few areas where the collision detection between platforms is a bit buggy and in general I often felt limited more by the difficulty of the controls than by the difficulty of the levels. 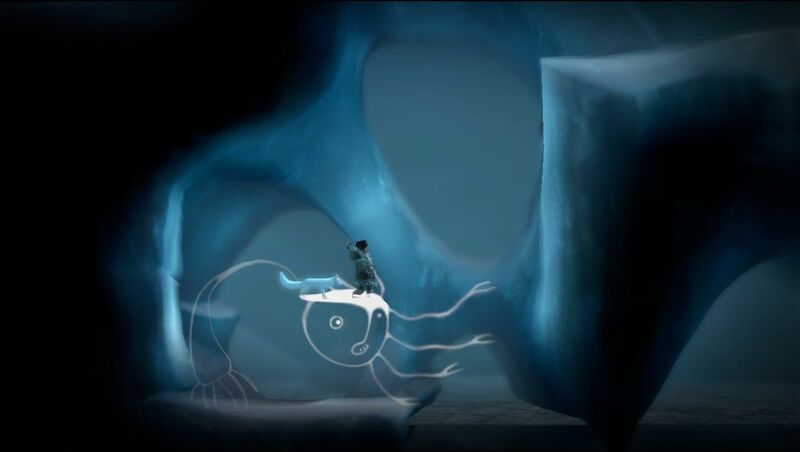 The game is trying for a high level of immersion in the Iñupiaq myths it tells, and it’s largely successful but it’s reliance on platforming tropes pull you out of the experience at times. Some jumps can only be made with the assistance of the wind, which is blowing in the exact direction you need to jump, even if that’s environmentally inconsistent with the previous jumps you’ve had to make in this level. Also, while the game is never really difficult in the normal sense of a platformer, there are areas that require blind jumps, or foreknowledge of the terrain to succeed causing you to die a lot. Normally, this wouldn’t be a slight on a game of this genre as the respawn checkpoints are generous, but the game is trying to present this as a singular voyage which makes the more frustrating areas immersion breaking. Ultimately, any criticisms I have are minor annoyances in an otherwise amazing game. 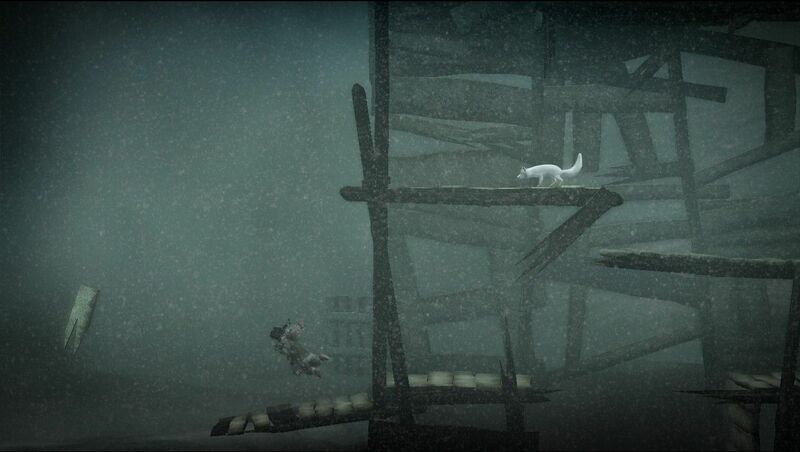 Never Alone succeeds in its goal of presenting Iñupiaq culture in an interesting light. As with many games of this genre, there’s a set of collectibles. Throughout the levels there are owls that will each unlock a short video about Iñupiaq heritage. The videos are well made and engaging. I highly recommend playing this game. One of the strange ‘problems’ of PC gaming is that due the wide variety of cheap bundles available, you often end up owning many games you never actually intended to purchase. When you also add in impulse buys from the many deep discount sales that PC gamers are frequently offered, most PC gamers have a significant backlog of games. Recently, I’ve been browsing my collection on the Humble Bundle android app and I’ve found quite a few excellent games that I would have never known about had I not picked them up in a random bundle. This experience has, unsurprisingly, made me curious what other gems might be lurking in my backlog so I’ve decided that I am going to make an effort to play every game I own and do a brief write up here. I started with a full list of every game tied to one of my digital accounts, which may include some free games that I’ve downloaded in the past. I removed any games designed for small children that seemed focused on recognition or aimless play, but kept any that seemed to require decision making. I removed adult educational resources (like any translating dictionaries) but kept anything that referred to itself as a game. I did not include any games that I no longer have the system for (I still have some unredeemed Wii U and 3DS games, but do not currently have either system). I have not included any physical games I own (I probably have ~5 PS3 games and ~30-40 physical PC games). I did this for two reasons. First, there are very few, if any, games that I own physically that I haven’t either played, or will play in the near future. This is because of the second reason, which is I don’t end up with physical games incidentally. Physically games rarely come bundled except perhaps in the odd eBay auction, so there’s not a inherent backlog problem. Still, I very well may add my physical games at some point for completion’s sake. I am not promising to ‘finish’ all of these games, only to give them enough time to determine whether or not I like them. I don’t have a particular method for choosing the order. I’ll probably try to do a blend between choosing games that sound interesting and randomly choosing. I’m not making any promises to stop buying new games, but my goal is to someday have played all of these, so I will do my best to outpace any new purchases so that my backlog can approach zero. Since the list is meant to be exhaustive, there are a lot of games on this list that I’ve already played. I would still like to revisit all of them to do a write up as my secondary goal here is to use this to improve my article writing.